Board-certified Plastic Surgeon, Dr. Theodore T. Foley, offers hand repair surgery at Cosmetic Plastic Spa in Camp Hill, PA, to improve hand function. 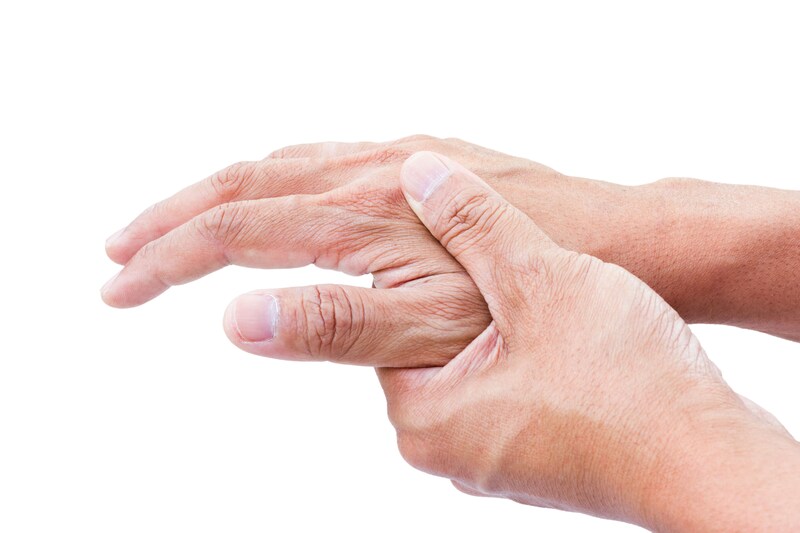 Many individuals suffer pain or limited use of their hands from carpal tunnel syndrome, arthritis, and Dupuytren’s contracture disorder. These conditions can occur from aging, trauma, or birth defects and can prevent the hand, wrist, and fingers from performing optimally. However, Dr. Foley has years of extensive training and experience to create a customized plan that will improve hand functionality and reduce discomfort. Results enable greater hand function, range of motion in the wrist, and strength in the fingers. "Dr. Foley is an amazing plastic surgeon. I am a breast cancer survivor having had a bilateral mastectomy. Dr. Foley performed my implant surgeries. He was compassionate and understanding, answering all of my questions and concerns before and after surgery. My post-surgical checkups were also through-Dr. Foley never rushed through any of my appointments. Since my breast surgery, Dr. Foley performed endoscopic surgery for carpal tunnel release on my hand, having normal movement after one week. Awesome job-thanks Dr. Foley!! And staff!" Hand surgery is a highly-individualized procedure. Therefore, treatments and techniques will vary depending on your condition. Your plastic surgeon will create a treatment plan that specifically coincides with your bone structure and functionality concerns. However, common techniques include incisions along the palm of the hand to repair tendons, relieve nerve tension, repair birth deformities, or to remove damaged tissue. Skin grafting is also frequently included to restore damaged skin. Patients may be placed under general anesthesia or intravenous sedation. Since treatments vary, recovery and healing will be different for every patient as well. Generally, positive results will be evident over time. Certain lifestyle modifications may need to be made to ensure long-lasting results. For example, limiting typing, painting, tennis, or any hand-motion that will negatively impact your results. Discuss any questions or concerns you may have regarding after surgery care with your surgeon. It’s common for patients to undergo physical therapy to assist them in their recovery process. If you have discomfort in your hands, finger dysfunction, severe scaring, or a physical hand deformity, call our office today to schedule your consultation. There is no need to prolong unnecessary suffering. A skilled plastic surgeon can help restore your hands for optimal function. The cost of Hand Repair Surgery is insurance based. If you are comparing prices between different plastic surgery practices, make sure you are comparing the fees which include all aspects of your upcoming surgery. These prices include the physician, anesthesia, and facility fees assuming that your surgery is being completed in a surgery center. If your surgery needs to be performed at the hospital, the fees will be ~$1500-$2000 more depending on the procedure, the surgical time, and whether or not you choose to stay overnight at the hospital. Also, your best choice for a cosmetic procedure of any kind is to choose a plastic surgeon, such as Dr. Theodore Foley, who is certified by the American Board of Plastic Surgery and who is local to you. Not only will you receive the best surgical care that way, but you will also receive the best postoperative care. At Cosmetic & Plastic Surgery of Central PA, we encourage patients to call for a complimentary personal consultation with our plastic surgeon so a customized quote can be prepared for you by our staff. For more information on payment options at our practice, check out our Payment Information page by clicking here.